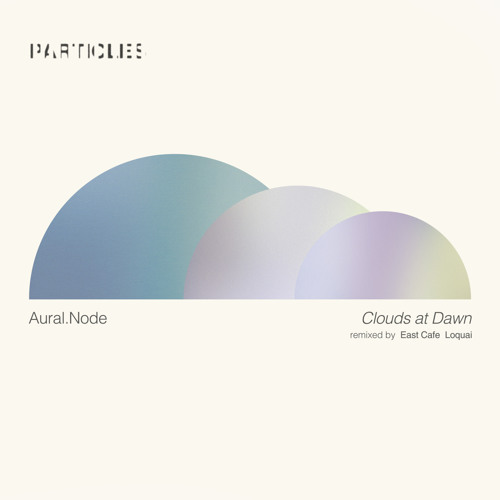 Coalesced from the Aural.Node mind, the beautiful four-track, “Clouds at Dawn” EP, saw the German producer combine rhythm and melody in striking fashion. Now returning to the EP Particles provides a pair of remixes from two of the underground scene’s leading lights. Konstantin Alt, is an artist who lives and breathes the underground dance scene. A stalwart within a constantly changing environment, his LoQuai production soubriquet continues to push the boundaries of innovation through sound design and production technique. German based, the LoQuai production process began in the late 1990s as Alt learnt his craft using electronic instruments and experimentation in a plethora of genres and styles. Honing his skills in progressive house, LoQuai quickly made strides, finding an early home for his work on Mistique Music. Indeed, over a century production credits have been delivered to the label while an astonishing one thousand total credits can be found next to his name for such celebrated imprints as Bonzai Progressive, Stellar Fountain and OLD SQL. A regular on Particles since a remix of BiG AL’s “Captured” in July 2013, three appearances on the seasonal particles compilation series in 2014, 2015 and 2016, have garnered success. Additional remixes of Navid Mehr, James Monro and Rise And Fall are now complemented by the LoQuai reimagining of Aural.Node. Reworking, “Sadulo”, the LoQuai remix retains the distinctive percussive sounds of the original, turning them into a new and vibrant rhythmic foundation that carries a new dynamism rolling forward with ease. Stunning use of additional production material in glistening melody and luscious vocal sounds evoke a Tangerine Dream production style that is as elegant as it is impressive. Building post-breakdown to a zenith, LoQuai’s production knowledge and skill are in full effect with a work of quality. Gabor Kaszas has made quite a name for himself through his East Café production moniker. A stalwart of the progressive house and breaks movement, East Café penetrated the underground scene in 2007 and has never looked back. Early work for Morphosis paved the way for a smorgasbord of original and remix material for the likes of LuPS, Mistique Music and Balkan Connection. Indeed, original productions such as “Lifetime” for PHW Elements and “The Inverted Pyramid” for Superordinate Music has epitomized the East Café sound, going on to be remixed by such industry heavyweights as Silinder and Andrea Cassino. Supported by Nick Warren, Hernan Cattaneo and John Digweed, the East Café sound is in suitably high demand. A 2014 newcomer to Particles, remixes of Omar El Gamal, Mononoid and Derek Howell, opened the Hungarian’s musical account before the original, “Indian Summer” EP emerged in June 2016 sporting a pair of remixes from Cristian R and GMJ. A recent appearance on the “Fall Particles 2016” compilation with “False Visions” saw more original work tantalise as East Café now returns to remix “From Clouds and Spaces”. Cleverly retaining elements from the original, additional production fills the lower frequencies with a trademark emotive bass line in a sumptuous breakdown. Delicious arpeggios riffs ping across the stereo spectrum as an intricate percussive groove and dance floor rhythm create a new vibrant energy from Aural.Node’s work. A new golden glow shimmers over “Clouds at Dawn” as remixes from LoQuai and East Café see Aural.Node welcome in the new day.